Jennifer is a Sr. Global Packaging Engineer II at Biogen. 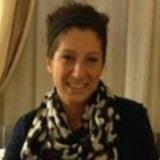 Jennifer is responsible for shipping qualification of the clinical and commercial programs. She has been involved with several filings, audits, and agency responses over the past three years. She has supported several cross-functional groups including Manufacturing, Regulatory, and Global Supply Chain. Jennifer has been with Biogen for ten years where she has held various roles in Manufacturing Engineering in addition to Global Packaging. She has Jennifer has a Bachelor of Science degree in Chemical Engineering from Northeastern University. Check out the incredible speaker line-up to see who will be joining Jennifer.